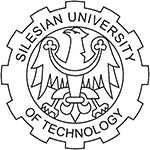 The Silesian University of Technology (SUT) was founded in 1945 as the scientific and didactic base for the most industrialized region in Poland and one of the most industrialized areas in Europe. Its rich, 70-year-old tradition makes it the oldest university in Upper Silesia and one of the oldest in the country. In 2015, the university celebrates its 70th anniversary. In 2015 there are nearly 30000 students, 13 Faculties, 2 colleges and 1 research institute with more than 20 support units that enable to work across disciplines, bringing innovative, collaborative approaches to the SUT’s research and teaching. The main seat of the SUT is a charming city, located in the center part of the Upper-Silesia province. Not far from Europe’s well-known capitals like Prague, Berlin and Vienna and being situated on the junction of two international highways A1 and A4, makes SUT a perfect place to meet people from all around the world for exchanging ideas and practices. The main strength of the SUT is a wide range of courses it offers and the superior quality of training it provides. SUT has invariably been the top of Polish technical universities and it has been classified high in the rankings of higher education. Almost 10 percent of top-managers in Poland graduated from SUT and also its alumni receive the highest salaries in the region and the fourth highest in Poland. Recently, we have also ranked 4th among higher education schools whose graduates are most sought after by employers. In addition to teaching and research activities, the Silesian University of Technology has become an important business partner to respond to the challenges of a knowledge-based economy. SUT is a key player as far as new technologies and innovations are concerned. It is here that new ideas and solutions are being brought into life and when applied to industry they boost competitiveness of Polish firms.